Check out Love on Fire! 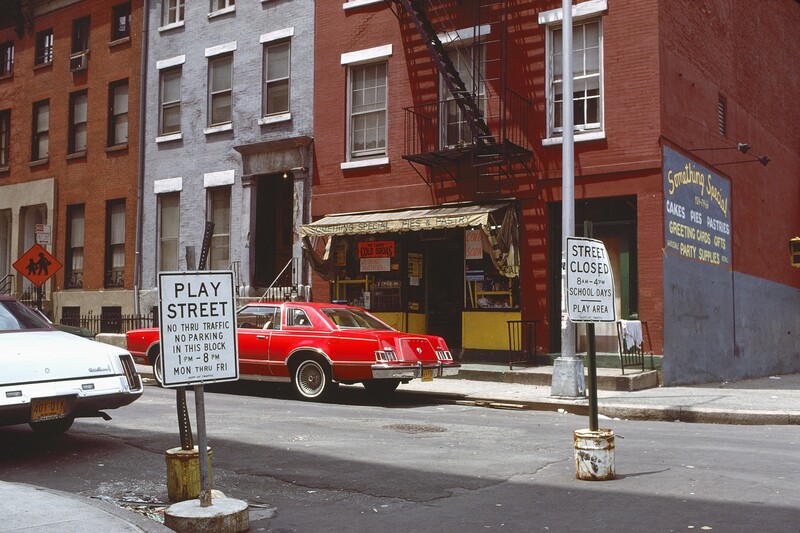 Last month, Ephemeral New York ran a post featuring some never-before-seen downtown street photos taken in the summer of 1979. They were taken by a Dutch sailor whose ship was docked in New York Bay. Whenever he could take a day off and visit Manhattan, he brought along his camera, capturing the energy and excitement of a city he had no idea was at its supposed nadir, facing bankruptcy and with residents fleeing fast. These photos are from the same collection. 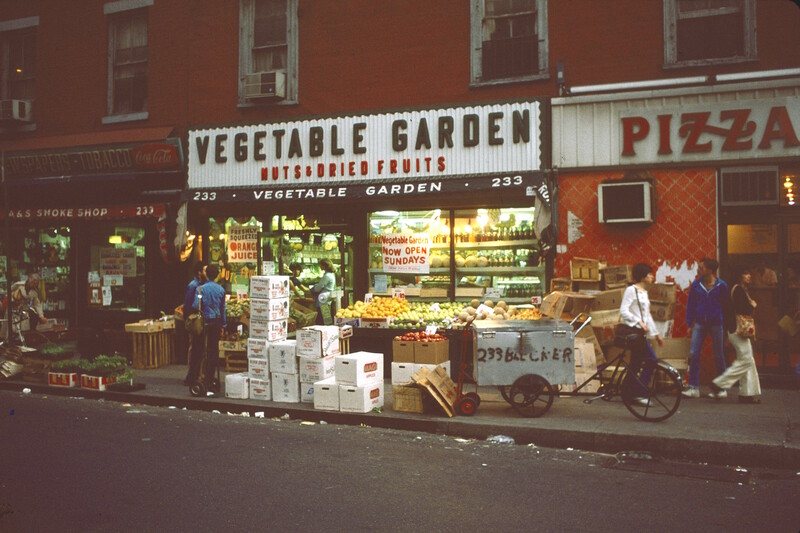 Rather than random street shots revealing glimpses of the magic and beauty of day-to-day life downtown, they focus on stores—the kind of small, local businesses that are becoming an endangered species in today’s Manhattan. 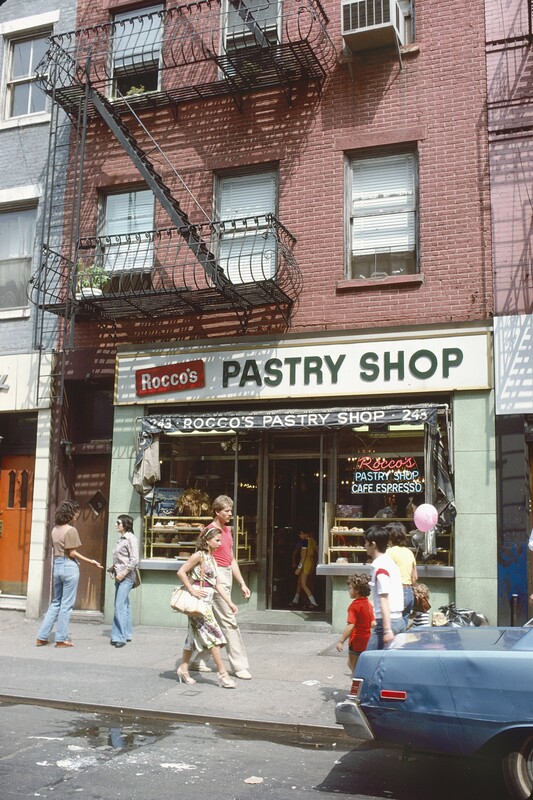 Some of these businesses still exist, like Rocco’s, still the best pastry shop on Bleecker Street. 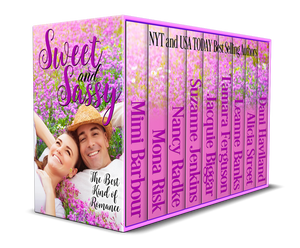 Check our new sweet romance anthology! Do you sigh when you see young lovers embrace? Does your heart sing to know that romance is in the air? Whether it’s love at first sight, affairs of the heart, or a second chance to get it right – our wonderful collection, featuring 9 uplifting love stories, is the perfect place for you to find that springtime magic. BIG GIRLS DON’T CRY, Mimi Barbour, NYT and USA Today bestselling author: Big girls don’t cry because no one is listening. Greek islands and donkeys go hand-in-hand, and the small but sturdy beasts have charmed me since I first set foot on Sifnos. I love the clip clop of their hooves against stone as they walk through the alleys of Apollonia in early morning. I love to meet them on the trails far from town. I love to pass them in my car on the road and if the owner is Konstantinos, a farmer whose acquaintance I’ve made, to stop for the short conversation we can manage between us. 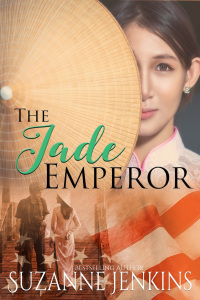 If you like romance series with twists and turns, then you’ll love Pam of Babylon. When Jack has a heart attack on the train from Manhattan, Pam and Jack’s two lovers discover secrets and lies, and each other in this contemporary romance with a touch of noir.